1. Program to display hello world using Node.js? We can write a program in node.js to print hello world as below. By accessing port 8080 using the link http://localhost:8080/ we will see hello world. 2. How to create a user module in node.js and use it? We can create our own model in node.js as below. 3. How to create a web server in node.js? We can create a web server in node.js using the below code. 4. How to add HTTP header in node.js and when to add? 5. How to read the query string in node.js? 6. How to split the query string in node.js? We can split the query string in node.js using the URL module and the code as below. 7. How to read a file in node.js? We can read a file in node.js using the readFile() method as below. 8. How to create an empty file using an open method in node.js? We can create an empty file using the open method in node.js as below. 9. How to update an existing file in node.js? We can update the existing file in node.js as below. 10. How to replace the existing content in a file in node.js? We can replace the existing content in a file in node.js using the writeFile() method as below. 1. How to trigger a report on the fatal error in node.js? The above node.js command enables the report on the fatal error and terminates the application and useful to inspect various diagnostics. 2. What is the use of a console class in node.js and how to use it? 3. How to create a new console in node.js with an example? 4. How to certificate class in node.js with an example? We can use certificate class in node.js with help of crypto module in node.js as it provides certificate class and with which we can able to work with SPKAC data and mostly used for handling output from HTML5 <keygen> element. 15. How to create a new instance of a certificate class in node.js? 1. How to pass arguments to the listener function in node.js? 2. Explain Asynchronous and Synchronous calls in node.js? Use the asynchronous code and try to avoid using the synchronous code. Always have a check for errors – never throw any errors and miss to catch the errors. Good to know about npm – you can know by installing modules with –S and –D options. Use exact versions only in package.json –By default npm adds caret when option –S is used and we need to manually edit to use exact versions and with open source modules we can use directly. Finally, it’s a conclusion about different types of node.js commands and some tips and tricks to use them. 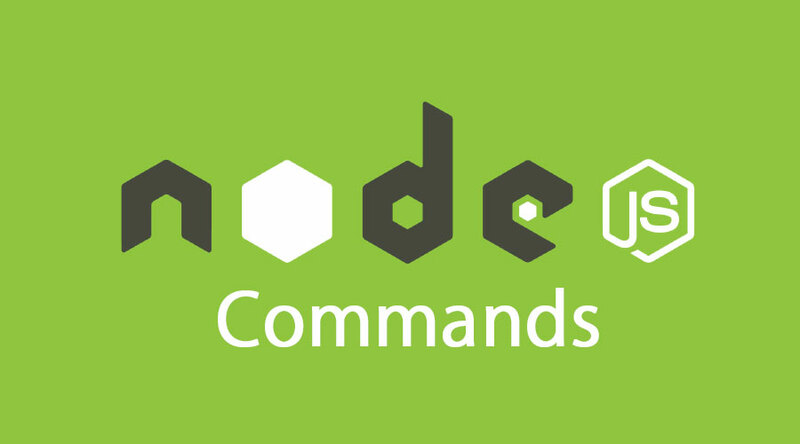 I hope you will have a good understanding of node.js commands and how to use them after reading this article.